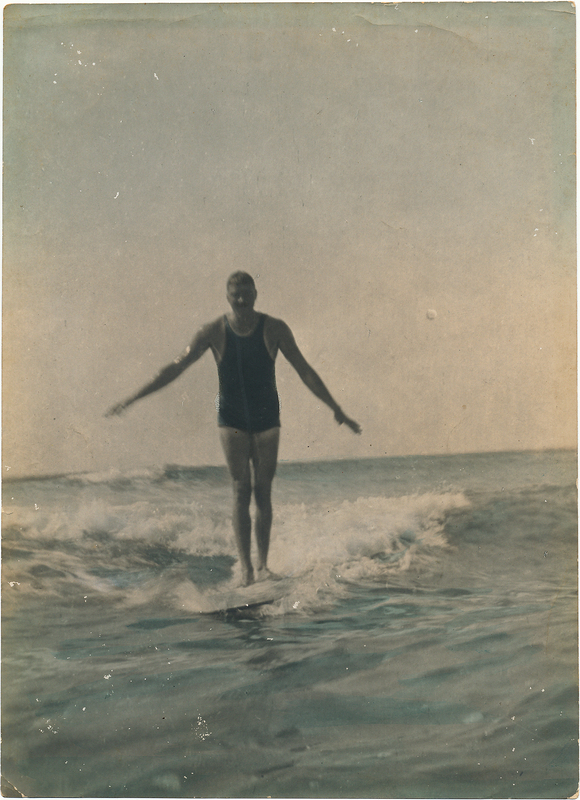 Pop, my paternal grandfather, surfing in Hawaii, sometime in 1911. I have no idea if this is good surfing form. Probably not. Before the world went mad in 1914, my grandfather as a young man, with change in his pocket, did some adventurous traveling. I’ve always loved this photo, because it’s the only one of him that indicates that he may have had a sense of fun and a less-than-serious side to him. We never knew him this way. He was always the staunch general to us. I’ve let April slip by without feeding this blog because of reasons I don’t want to get into. I am now back on track.